Saturn as karaka (significator) of the malefic 6th, 8th and 12th house in the horoscope is the most dreaded planet. It is assigned 19 years in Vimshottari Dasa and slowly transits through a house in 2½ years. Its transit through the 3rd, 6th and 11th house from Moon, i.e., nearly 7½ years out of 30 years that it takes to go round the zodiac is favourable. Thus Saturn has the longest influence, and its location and strength in a person’s horoscope indicates the pattern of events he will experience in life according to his prarabdha (result of past karma). However, Saturn gives the best result when it becomes functional benefic for the horoscope. For example, for Tula (Libra) lagna Saturn gives the best result, and second best for Vrishabha (Taurus) lagna by virtue of becoming a Yogakaraka( Lord of Kendra and Trikona houses). It gives good result for Makar (Capricorn) and Kumbha ( Aquarius) lagna as lagna lord. When for these four lagnas Saturn is also well posited and aspected by benefics, it produces excellent results during its dasa-bhukti and transit. Saturn gives mixed result for Mithuna ( Gemini), Kanya ( Virgo), Dhanu ( Sagittarius) and Meena (Pisces) lagnas, and proves unfavourable for the remaining lagnas. Like other malefic planets. Saturn gives good result when posited in an Upachaya ( 3, 6, 10 or 11) house. In addition, Saturn’s location in any Kendra, which is its own or exaltation sign, forms Sasa Yoga, one of the Panchmahapurusha Yogas that bestows name, fame, wealth and authority to the native during its dasa and bhukti. Lucky is the person for whom Saturn is favourable and strong in the horoscope. Saturn has special 10th and 3rd full aspects, in addition to the normal 7th aspect. These aspects adversely affect the affairs of the house receiving it, and afflict the planets posited there, but these aspects are favourable when Saturn becomes a functional benefic in the horoscope. Among these aspects, the 10th aspect is the most powerful, then comes the 7th , and the 3rd aspect is the weakest. Saturn’s aspect on Venus spoils the conjugal life of the person. Its aspect on Jupiter induces the native to self-abnegation in religious and spiritual pursuits and sometimes causes compromise of moral principles. Saturn’s aspect on the Sun makes the native toil hard in life and face separation from, or even death of father in some cases. Saturn’s aspect on Moon makes the native simple, calm and calculative and gives distress to mother. Saturn’s aspect on Mars makes the native aggressive and cruel, while their mutual aspect portends violent end. Saturn’s aspect on Mercury gives crooked and selfish mentality. Its aspect on Rahu makes the native shrewd and causes chronic ailments. The benefic aspect of powerful Jupiter and Venus on Saturn tones down its malefic effect. Saturn owns two consecutive signs in the Zodiac, namely, Capricorn and Aquarius. Capricorn being the 10th sign of the Zodiac represents karma (action) and Aquarius the 11th sign denotes labh (gains). Thus Saturn controls profession, status and financial position of the native. It not only influences the affairs of the house of its location, but also of the houses on both sides of its location. Through its ownership, location and aspects, if there is no overlapping of houses, Saturn influences as many as eight houses in any horoscope. This makes the position of Saturn in any horoscope decisive and it is prudent to properly assess the disposition and strength of Saturn before making any prediction. Saturn is a deterministic planet and acts for good or bad without any restraint. In addition, Saturn has two special features. The first one is the infamous Sadesati ( 7½ years’ period) when Saturn transits through the house prior to natal Moon, the Moon sign, and the sign next to Moon. This cycle repeats in 30 years in everybody’s life. During Sadesati Saturn controls the flight of imagination of the native’s mind and makes him depressed, lonely and self- dependent. If Moon in a horoscope is already afflicted by Saturn, Mars, Rahu or Ketu individually or jointly, or Moon is weak and located in a trika ( 6/8/12) house, the effect of Sadesati is severe. The second special feature is ‘Shani vat Rahu’, i.e. Rahu is like Saturn. It is observed that in case of Tula lagna born, for which Saturn becomes Yogakaraka, if its dasa comes very late in the native’s life, then Saturn confers its favourable result during the dasa of Rahu. If such an individual has both Rahu and Saturn dasas in his life time, then the results experienced are par excellence. Akbar was crowned as king at the fag end of Rahu dasa, while still a minor. Rahu is in 5th house in Saturn’s sign and aspects Saturn. He won many battles during Jupiter dasa, weak 6th house lord with strong lagna lord in lagna. The aspect of exalted Saturn and exalted Mars on the 10th house gave him success in expanding his empire. Akbar’s rule reached its zenith in Saturn dasa. The commencement of Rahu dasa from August, 1919 coincided with Gandhiji’s active political career. In Rahu dasa Rahu bhukti he was arrested for Civil Disobedience Movement and on release became a national leader. The whole of Rahu dasa kept him engaged in independence struggle, and he wielded considerable influence in Government without occupying any office. He was shot dead in Jupiter-Sun. His Rahu dasa was influenced by Saturn. 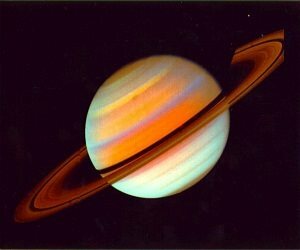 A Saturn in lagna forms Sasa Yoga. It is conjoined with 9th lord Mercury. Their location blessed her with sharp intellect, confidence, fame and high status in life. Rahu is posited in 10th house and aspected by Saturn. Rahu dasa operated from September, 1972 to September, 1990. She took over as Leader of Opposition in British Parliament in February, 1975 during Rahu dasa-Rahu bhukti. After leading her Conservative Party to victory in elections she became Prime Minister in March, 1979 (Rahu dasa-Saturn bhukti). She ruled the country for continuous 11 years with confidence and determination and was regarded ‘Iron Lady of U.K. She lost power in 1990 with the start of Jupiter Dasa (lord of 3rd and 6th house in 3rd). Thus Rahu dasa gave her the result of exalted Saturn in Lagna and she enjoyed name, fame and authority. Yogakaraka Saturn posited in exaltation sign in Tula lagna forms Sasa Yoga. It aspects Rahu in 10th house. Saturn dasa is not likely in his life. Rahu dasa operated from February, 1985 to February, 2003 and delivered the excellent result assured by exalted Yogakarka Saturn and bestowed name, fame and political success. He occupied different important positions in government, remained leader of opposition in Lok Sabha, and finally became the Prime Minister of India in 1999. He was voted out of office with the start of Jupiter dasa.